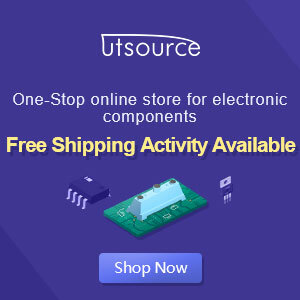 IC 3584 has thermal protection or voltage automatically shutdown when the temperature at IC exceed 150 degrees or more. 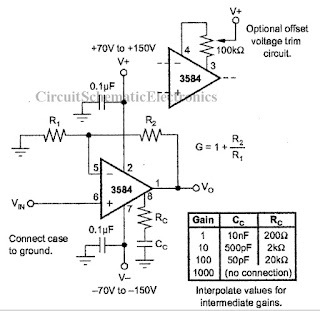 You can operate this circuit at the transistor or IC heatsing, if a transistor or IC had exceeded the limit of the heat circuit automatically shutdown. 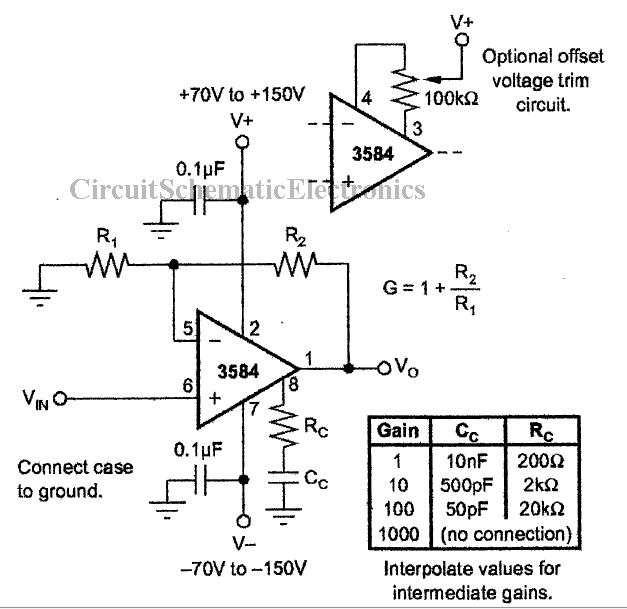 How to use a thermal shutdown circuit above that is first given a circuit of voltage V+,V-,and ground , the given a voltage Vin to be created automatically shutdown if the temperature is high , and the output is inserted in the circuit of an amplifier or other. Then IC embedded in the heatsing or case, which if too hot will shutdown alone. If the circuit already decided voltage, the voltage will re-connect if the temperature returns to normal.